The Products Division here at Nick Griego & Sons is a great One-Stop Shopping Experience for all of your concrete, aggregate and Masonry needs. Our qualified and experienced staff will assist you from answering questions to setting up the delivery or pick-up of your products. With the recent expansion of our products department, we are able to service more areas and in much larger quantities. Most deliveries can be made the same day so that no customer is held up from waiting on materials. When it comes time call Nick Griego & Sons, the most trusted name in the Southwest. Our employees seek to provide homeowners and contractors alike with the highest quality products available. We have a 39 plus year tradition of serving New Mexico’s construction needs from back yard patios to large commercial projects. We have the capability to provide ½ Cubic Yard Concrete to several Thousand Cubic Yards of Concrete in a day. Our products extend beyond concrete and include Expansion Joints, Joint Sealants, Curing Compounds, Concrete Sealers, Forms, Saw Blades, Metal Forms, Metal Stakes, Wood Stakes, Concrete Hand Tools, Patch Material, Rebar Reinforcing, Wire Mesh Reinforcing and other products available by order. Nick Griego & Sons is the one source for all your aggregate product needs. We produce sand, crushed rock and road base for use in construction, landscape and home improvement. We provide the best service possible by utilizing company owned equipment. With our large fleet of trucks we can deliver any amount of material to meet your needs. Building a new home, renovating an existing one? Whatever your masonry needs, Nick Griego & Sons has a solution. 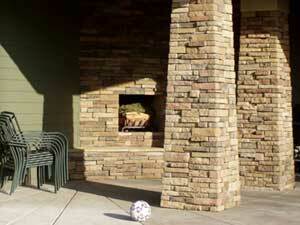 We offer a full line of brick, Cultured Stone and block. We offer our products to meet the needs of contractors, subcontractors and individuals. Offering a multitude of colors, shapes and textures in each of our masonry product lines, your projects are limited only by your imagination.